It is important to change your oil in your vehicle to make sure you give your engine the longest lasting lifetime possible. 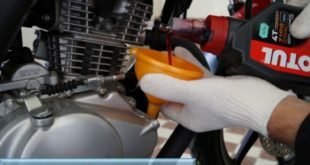 It is also important to change your oil filter when you change your oil, changing your oil filter will filter out any dirt and crud that can clog your engine and prevent it from running as it should. You should change your oil filter and oil every 5,000 miles the first 100,000 miles and every 3,000 miles after 100,000 miles. To make sure that the seal on your oil filter doesn’t get torn apply a small amount of oil on the seal. You should also fill the filter as full as you can with oil before putting it on your engine. It is also crucial that you make sure to get the appropriate size oil filter for your vehicle. If you get a filter that is too big it might screw on to your engine but it won’t seat correctly and you’ll have an oil leak and that can cause engine damage and also your engine oil won’t be properly filtered and that could cause damages to your engine as well. To ensure that you get the right size oil filter there are many ways of finding it out. One way is to check in your vehicles owner manual in the vehicle maintenance section. I know at Wal-Mart there is a little machine there that can help, you put in the year, make, model, and engine size of your vehicle and it will give you the exact size and brand of oil filter that you need. 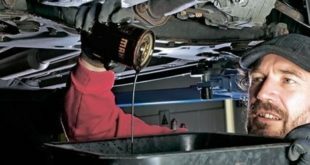 When and why is an oil filter change important? There are various filters for various different components on your vehicle. Each one of these filters is important to keeping your vehicle live a long and healthy life. So which filters need changing and when? The first filter change that is often overlooked, yet extremely important is the air filter. This filter keeps fine particles of dust and road grime out of the engine. If these particles were allowed to enter the engine, major damage could occur. 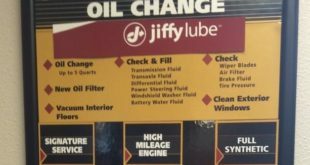 The average interval to change this filter is around 6,000 to 10,000 miles, or every other oil change, depending on the manufacturer recommend mileage interval. The air filter is often one of the easiest, cheapest filters to change and can often be done with few or no tools. The next filter change that is important to your vehicle is the fuel filter. As gasoline sits in the fuel tank at the gas station or the fuel tank in your car dirt and other nasty items can accumulate. This fuel contamination can clog fuel lines or even cause internal engine or fuel injector damage. The normal change interval depends on manufacturer specifications and can vary greatly depending on where you drive, how you drive and where you purchase your fuel. Changing this filter is usually best left to a professional mechanic due to the highly dangerous nature of the fuel and the commonly high pressures modern fuel systems run at. 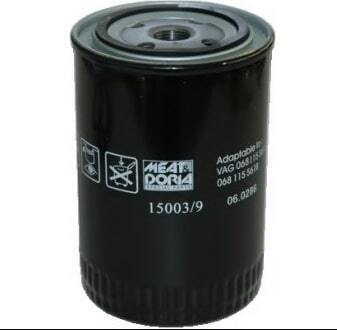 The next important filter change for your vehicle is the oil filter. This filter is threaded into the engine block and prevents small metal shavings and other contaminants from entering the oil passages in your engine and causing crippling engine damage. 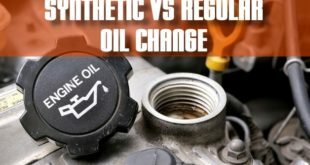 Many manufacturers recommend that this filter be changed every other oil change, but many oil change shops and professional mechanics will replace this filter at every oil change service. Changing your oil is an important part of keeping your vehicle healthy. 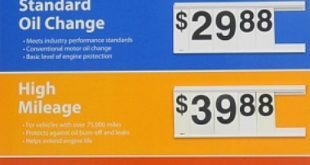 Doing a cheap oil change can save you thousands of dollars in savings down the road. Changing the oil filter is usually left to a professional mechanic; however, a competent individual can often change this filter themselves. One last filter that many modern cars are including is a cabin air filter. This filter catches dust and other items that may find a way into the passenger compartment. The normal interval for changing this filter is often quite long. These filters can sometimes present a challenge when it comes time to change because they may be hard to reach.